Help our Seattle Seahawks and Chef John Howie bring back the Kick Hunger Challenge trophy home to Seattle. A nationwide competition between NFL teams, the Kick Hunger Challenge runs all season long and helps football fans turn their passion into food for those in need. 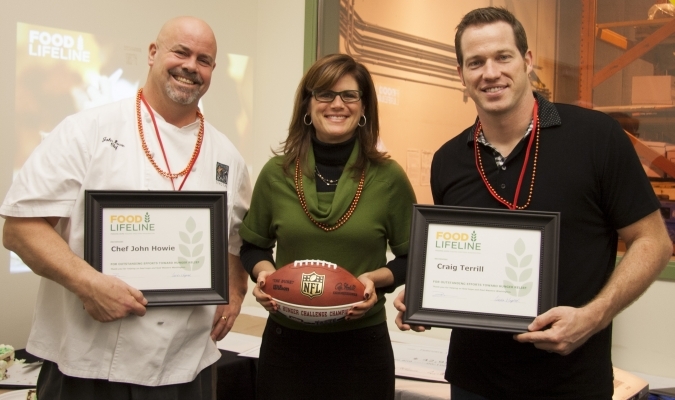 Chef John Howie and former player and “Singing Seahawk” Craig Terrill are the four-time champions of the Taste of the NFL Kick Hunger Challenge. Let’s help them bring back trophy nubmer 5. Last year we raised nearly $250,000 providing 1 million meals in Western Washington. 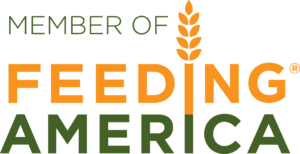 CLICK to support your NFL team and food bank. GIVE a donation. Every dollar donated can provide 4 meals. SCORE a touchdown for hunger relief in your community. You can also visit Seastar Restaurant for a Spicy Pear Kamakazi – for every Kamakazi sold, Seastar will donate $1 to Food Lifeline. Similarly, John Howie Steak is donating $2 from every Tito’s Sipper cocktail!